The Boss BB-1X Bass Guitar Effects Pedal is more than just a compact stompbox that's used only now and then. The BB-1X is more like a preamp and DI that enhances and refines your sound. Unlike most preamps, this doesn't colour or change its character, rather it emphasizes and invigorates the natural characteristics of your bass and amp. Bassists who are concerned with punch, body and other sound elements that require a wide range of adjustability to achieve their tone, need to look no further. With the latest technology there are endless possibilities for producing a polished professional sound. In combination with the high and low tone knobs, the blend knob provides amazing amounts of adjustability, allowing to dial in the perfect balance to get your perfect tone. Conventional bass pedals narrow down the frequency range to get a punchy sound. This results in an unnatural sound. Furthermore, whilst trying to achieve a distortion tone, the low end usually gets muffled. As the distortion level is increased, the dynamic response is decreased, which limits your musical expression. the BB-1X is different as it analyzes the bass signal from several different dimensions in real time. An enormous amount of processing is performed according to the instrument, playing style, phrasing, dynamics, and more, providing a wide range of possibilities to shape and enhance your sound without altering the fundamental tone of your instrument and amp. The BB-1X features a Line Out jack that functions as a DI that has been specially tuned for superior tone. 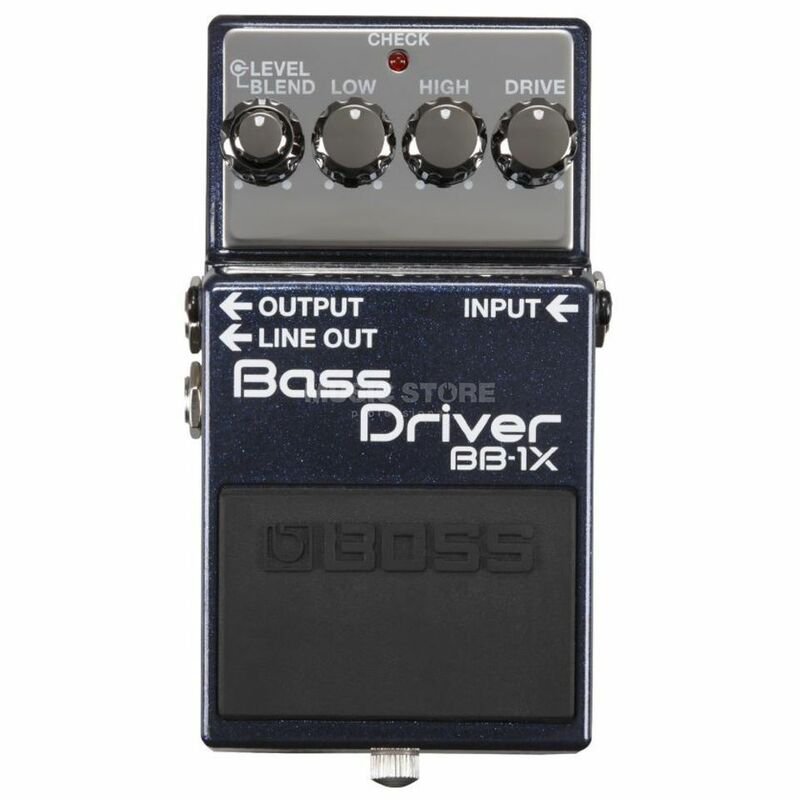 Boss has carefully considered suggestions from many top bassists and pro PA engineers and incorporated some unique features to the BB-1X's Line Out. The body and core tone produced by the BB-1X's Line Out isn't just from boosting the low end, which can result in an unbalanced band mix through the PA. Its special tuning provides a full spectrum of balanced sound, while never losing the body, punch, and presence of your individual tone.